Remember that recently released Avengers: Endgame trailer that hardly showed us anything about the movie but still managed to get the entire fanbase unreasonably excited? As it turns out, that trailer may have told us even less about the movie than we previously thought. That's because directors Joe Russo and Anthony Russo made it that way by design, meaning some of the footage in the trailer is intentionally manipulated, with some of it not even in the actual movie. At first, this may be aggravating. However, they're doing this in order to preserve the surprise and theatrical experience. Blockbuster movies of this size almost never get to do that. Even certain parts of Infinity War had to be shared in the marketing to get people on board. But this is a different beast altogether. Joe Russo had this to say about it in a recent interview. "[We] use all the material that we have at our disposal to create a trailer. We look at the trailer as a very different experience than the movie, and I think audiences are so predictive now that you have to be very smart about how you craft a trailer because an audience can watch a trailer and basically tell you what's gonna happen in the film... We consume too much content. So at our disposal are lots of different shots that aren't in the movie that we can manipulate through CG to tell a story that we want to tell specifically for the purpose of the trailer and not for the film." The latest trailer didn't even show Thanos. That's how much they're keeping under wraps. It's also worth pointing out that there were shots from the Infinity War trailer, such as Hulk showing up in the climactic battle of Wakanda, that never made it into the movie. So the Russo brothers have dabbled in this sort of thing before. And it's not that they're just holding things back to be annoying about it. As Joe Russo goes onto explain, it's all about preserving that surprise come movie time. "We talked about all scales of marketing. The thing that's most important to us is that we preserve the surprise of the narrative. When I was a kid and saw The Empire Strikes Back at 11 am on the day it opened...It so profoundly moved me because I didn't know a damn thing about the story I was going to watch. We're trying to replicate that experience." Few, if any studios could afford to run a marketing campaign this risky for a movie this big. Trailers often have to give away the goods in order to entice moviegoers. But the success of the MCU over the years has granted Marvel Studios, and ultimately Disney, that kind of flexibility. Truly, it seems we have next to no idea what we're in for with this one. 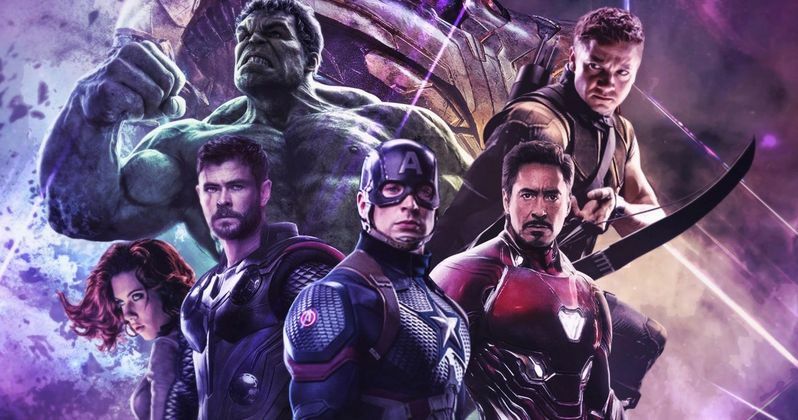 Avengers: Endgame is set to hit theaters on April 26. This news was first reported by Empire Magazine.